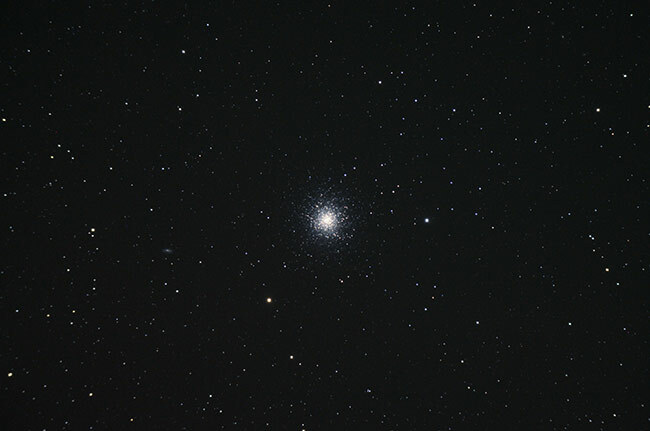 The Great Globular Cluster in Hercules known as M13 is often described as the finest globular cluster in the Northern Hemisphere. Cataloged as Messier 13 or NGC 6205, this impressive star cluster in Hercules is often observed here on Earth using a telescope or a pair of binoculars. My latest image of M13 was captured using a large refractor telescope, which revealed more of the individual stars within the core of the cluster. Before I get into the technical details of this photo, let’s take a look at the progress I made on M13 over the years. M13 was one of the first deep sky astrophotography targets I photographed when I began this hobby many years ago. Some of my earliest images of this deep sky object were captured using a small 80mm apochromatic refractor telescope (Explore Scientific ED80 APO). 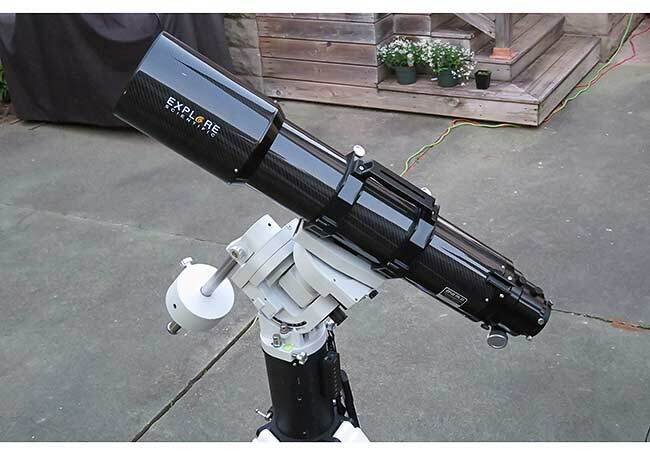 Using this small refractor telescope, I was able to produce breathtaking wide-field views of M13 and the surrounding area. Above, you’ll see my image of M13 captured through an 80mm refractor telescope (480mm focal length) and a Canon DSLR camera. The image has been heavily cropped to better showcase the collection of colorful stars in and around this object. As spectacular as this amateur image is, a telescope with a large aperture and longer focal length will reveal more of the individual stars near the core of the star cluster both during visual observations and when photographed. In this post, I’ll tell you why I think the Great Hercules Cluster is such a fascinating object. I’ll also share the images I’ve been fortunate enough to capture of M13 using a variety of astrophotography equipment. 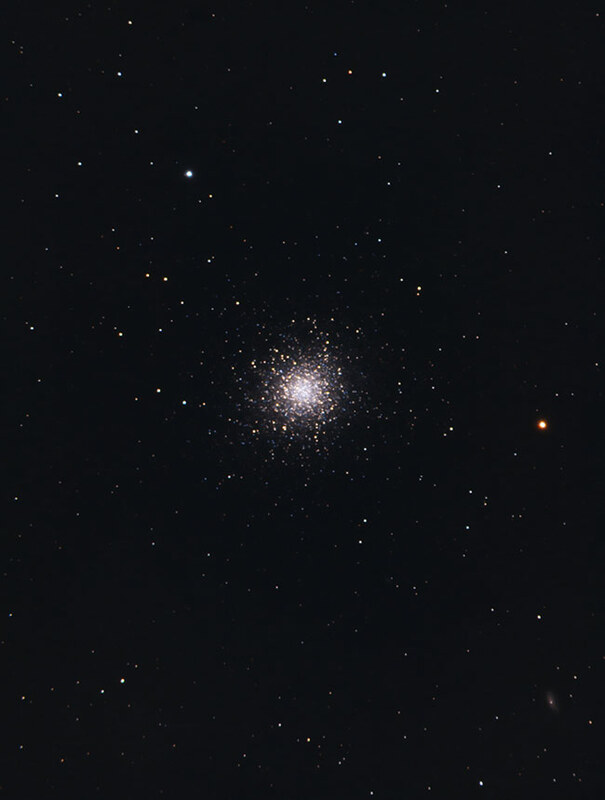 Whether you choose to observe M13 through a telescope eyepiece or capture it through astrophotography, this deep sky object is worth the effort. 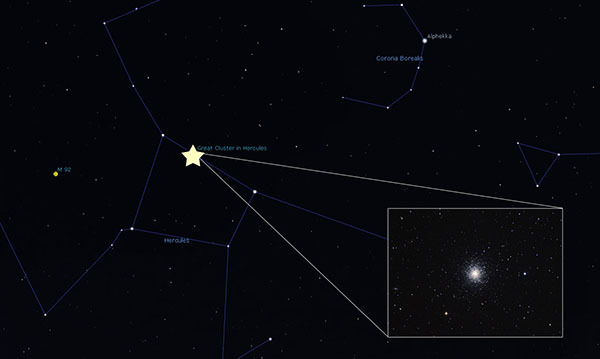 To find this globular cluster, you’ll first need to find the constellation Hercules. Use the stars Vega and Arcturus to lead you to the keystone star pattern this constellation is known for. Vega, in Lyra, is one of the brightest stars in the Northern Hemisphere, and Arcturus is also very bright and strikingly orange. Scan across the sky about one-third of the way from Vega towards Arcturus, and you should see 4 moderately bright stars that create a large, uneven square (the Keystone). The Great Hercules cluster is located between the stars Eta Herculis and Zeta Herculis. Once you know where to look, you should be able to easily find M13 using the Keystone asterism as a guideline. M13 has an apparent magnitude of 5.8, which makes it barely visible with the naked eye on a clear, moonless night from a dark sky site. Through a low power telescope of binoculars, this star cluster looks look a hazy ball of light, resembling a comet in appearance. Globular star clusters like M13 can be photographed during nights with moonlight, as they are not as affected by moon glow as dim nebulae and galaxies are. On May 23rd, 2018, I captured the Great Hercules Globular cluster using a large refractor, the Explore Scientific ED140 CF. 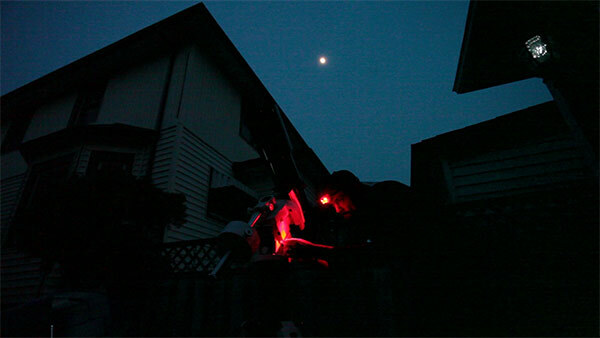 This telescope was lent to me from Explore Scientific to use in my backyard and report back with what I think. Needless to say, I was thoroughly impressed with the astrophotography performance of this fast, carbon fiber APO. The video above covers some of the features of the ED140, and gives you a behind-the-scenes look at capturing my latest image of M13. The added resolution and light-collecting power of this massive refractor allowed me to photograph a deeper view into M13 than ever before. I used a ZWO ASI294MC-Pro Camera from Ontario Telescope to capture the beautiful natural star colors of M13. 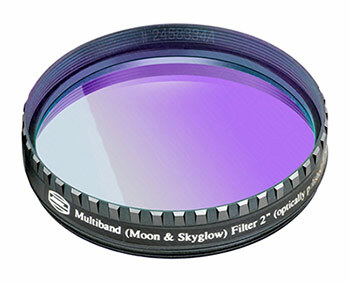 I used a Baader Moon and Skyglow filter to reduce the negative effects of light pollution in my 60-second exposures. 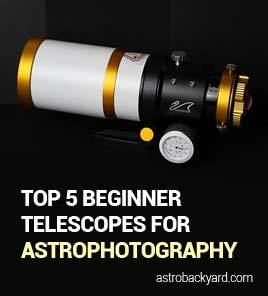 The camera was controlled using Astro Photography Tool, where I was able to control utilize the TEC feature of this one-shot-color camera. I cooled the camera sensor down to -20C, and used the Unity Gain setting during my imaging session. The ASI294MC-Pro has been a pleasure to use thus far, and I hope to capture many more images this summer with it. In total, I collected 130 x 1-minute subs. The image above includes 2 hours and 9 minutes of total integrated exposure time. The images were dithered between each frame, which really helps reduce noise when shooting a large sequence of images. 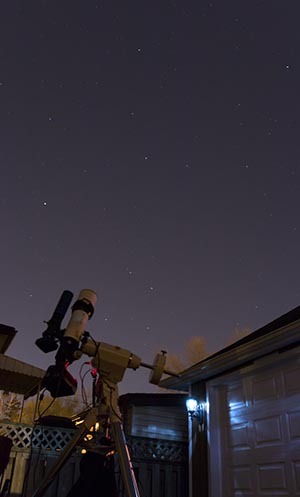 Star clusters are a great astrophotography target to shoot when the moon is out and can be enjoyed using a one-shot-color camera such as a DSLR or dedicated astronomy camera. 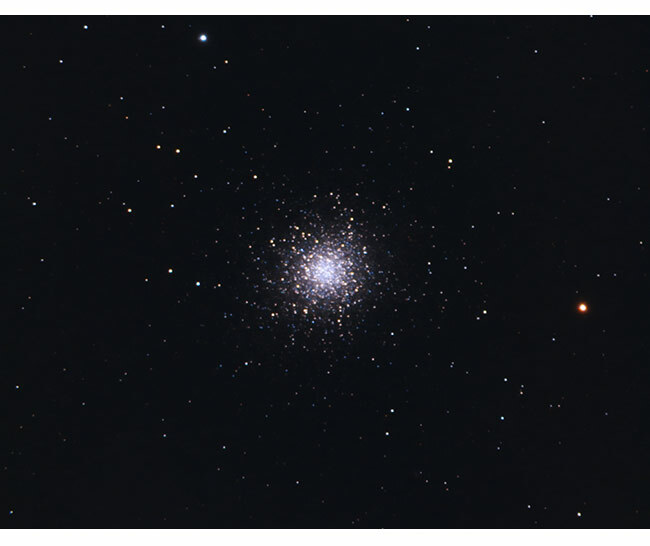 M13 is rather small in a wide-field refractor such as the ED80 I used for the photo above. That ED80 has a focal length of 480mm, just to give you an idea of what to expect. The final image was substantially cropped from the original frame. If you shoot through light pollution in your backyard like I do, globular clusters are a satisfying target. The short exposure lengths needed help keep the city glow at bay. A stack of 30″ exposures at ISO 800 should be more than enough to record this beautiful globular cluster from the city. No light-pollution filters were used when capturing my image. You might have noticed a distant galaxy in my image. Longer exposures using a tracking mount will reveal NGC 6207 sitting close by to the M13 globular cluster.